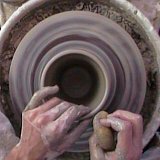 If you like pottery as much as I do you can see why building this website has been a labor of love. For years I have dreamed of finding a way that I could give back to the community some of what I have learned from so many people along the way. Honestly, though, I never imagined that I would build my own website. I also never imagined that my website would become as successful as it has! Today this website is used by over 6,000 people every month. It warms my heart every time someone subscribes to my email list, posts their pictures, or shares a tip for the benefit of other readers. Not too long ago I was afraid of computers. I avoided them like crazy. They were just too complicated. I could never have imagined building my own website, let alone reaching 6,000 people a month. I smile from ear to ear every time I think about it. So, how did I do it? How did I go from completely computer challenged to creating a successful website that reaches that many people? It all started when my brother found one of those crazy internet schemes called SBI that was supposed to "change your life forever" by teaching you to build your own websites. He was so excited about trying it. I was extremely skeptical, but curious. I told myself that if and when he started making money from it, or even paying for the service so he wasn't losing money, I would start taking it seriously. My brother is a very busy man, so he is only able to work very part time on his website. So progress was slow. But after several months things started to happen. He kept me informed through the whole process. First, his site received it's first visitors. Then, over the months the traffic grew into dozens and eventually hundreds of visitors every day! Then he put simple ads on the site and started to see some income. He told me that whenever a visitor clicked on an ad on his website he made money. I was AMAZED! This was starting to sound pretty good. When I was young I dreamed of a job where I could write about whatever interested me and make a living at it. Could this be my chance to do just that? At first I couldn't believe that it was real. There had to be a catch. But over time, as the traffic and income grew, my disbelief faded and I wanted to build a website myself. The only problem was, my brother is a kind of a genius, and a computer wiz. So of course, HE can build a successful website. But could I? So, I followed in my brother's footsteps. I took the plunge, and I signed up for SBI. That's when I learned what they really mean when they say this is the first day of the rest of your life! It took a while for me to get up to speed (remember I was scared of computers), but SBI literally held my hand and walked me through every tiny step of the way. It gave me all of the skills and guidance I needed to build this site. 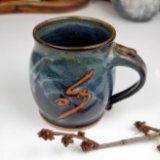 Since then, I have created another site all about Coffee Mugs, although the pottery site is still my favorite. I used to hate that saying. I was always doing work that I hated so I had enough money to do what I loved. It's a vicious cycle, working at a miserable job all day so you can have fun weekends (if you're not worn out from the job). The awesome thing is, now I understand what that saying means. 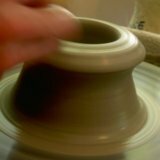 See, thanks to SBI I'm now teaching pottery to 6,000 people a month and making money doing it. I'm doing what I love - and the money is following me. It's a good thing too, because I have a pretty big list of dreams I want to pursue, and having all of my time to do it... Well, that's the best part. Everyone has a list of dreams. What's on your list? Check out these inspiring stories about everyday people who are making their dreams a reality, thanks to SBI. What is SBI and What Does it Do for Me? Simply put, SBI teaches you how to build a successful online business. It walks you through building your own website, step by step, starting from the beginning. It shows you how to make money by simply sharing your hobbies, passion, or knowledge with others, like I have with this website. SBI! prepares you to build a profitable online business, before you jump into building your site. For the beginner, your learning curve will be shorter and you'll bypass any show-stopping errors. For those experienced in site-building, SBI! deepens your level of understanding. No matter who you are, you are guided all the way until you succeed. SBI performs all of the tedious background work so you can concentrate on building your business creating valuable content for the visitors to your website. You don't need to worry about looking for separate hosting, paying for a separate keyword research tool, handling site submissions, integrating autoresponders, etc., etc. See the full list of features. Continuous mentoring via the Action Guide and online help is always available. Learn by reading (written guide) or watching (video guide)! The video guide was a life saver for me. I'm a slow reader and I learn much better from the interaction in the videos. You are carefully guided every step of the way, which makes success that much more do-able. Advanced help is also available (when you are ready for it), all designed to save you time and keep you moving forward. Learn more with a quick video tour. Page creation is as simple as riding a bike with its training wheels still attached. No need to know HTML. The block-by-block builder trains you how to write a page that is both "Search Engine and human effective." It's simple, do-able and most importantly, effective site-building. The block-by-block builder is perfect for beginners, but even many "advanced" users should start with this tool. It's an excellent way to break bad habits! Being a part of SBI is like having not just one, but a whole team of experts in your pocket. The SBI! private forums provide friendly, helpful support from other users. Help is available from folks who are in the same place as you and who have been there before. This peer-to-peer support gets you over the humps along the way in a stress-free environment. Help is available even for advanced questions. The forums are like having an entire community to guide you, ready to help you succeed. The founder of SBI, Ken Evoy, provides a rare level of dedication to his customers. He's extremely active in the SBI! forums with over 5000 posts to date. He makes a tremendous personal effort to help people succeed and is highly passionate about helping people build businesses online. Anyone who owns SBI! can benefit from this extraordinary Internet business visionary. The great thing about Solo Build It is that you can start on your path to success from right where you are today. You can start right away even if you only have a few hours a week. It's designed so you can do it part time from home. 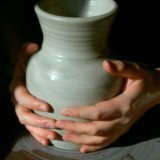 I started my pottery website working just a few hours a week when my son was less than a year old. I was working a full time job and was busy supporting a family, but I wanted a better future for myself, my wife, and my son. That's what I love about Solo Build It, is that anyone can do it. It doesn't matter where you are in your life now, where you've been, or what level of success you've had in the past. Take a look at all of the people who have found success with Solo Build It. If they can do it, and I can do it, then you can too! See how! Get started living YOUR list of dreams today! After all, today is first day of the rest of your life! Learn more about Solo Build It You'll be glad you did! Have a question? Get answers here.